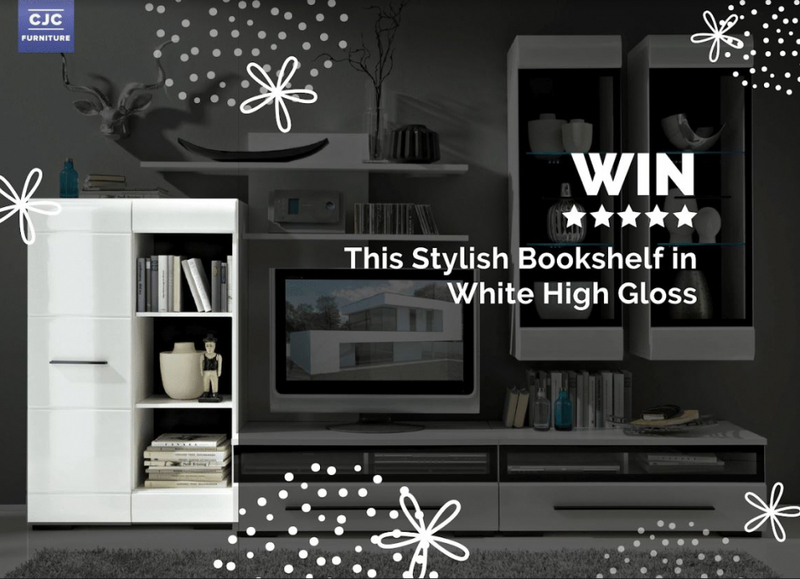 The bookshelf from the Fever collection will be a perfect addition to modern interiors. Its uniqueness is stressed by an interesting shape as well as black contrasting handles. The bookshelf has 3 open shelves ideal for books or ornaments and some more shelves behind the doors to keep the room neat and tidy. The prize draw is open to UK residents aged 18 or over. The prize must be redeemed within one month, by 1st June 2019. The prize is not valid with any other offers. The Promoter’s decision is final and binding in all respects on all entrants. Entries that do not comply in full with these entry terms and conditions will be disqualified. to check your ‘other’ box in your Facebook account as messages from us may automatically be sent there. This ‘other’ box can only be accessed via a laptop or PC version of Facebook. We may ask you to provide a review / give feedback on a new Fever bookshelf, as well as post a picture with the winner to our Facebook page. All entries must be made directly by the person entering the competition; no group, mass or software entries will be accepted. The Promoter is CJC FURNITURE LTD, 431 Tyburn Rd, B24 8HJ Birmingham, United Kingdom.